Every person should cleanse the system of toxins and let the digestive tract rest at least once each year. Purification is one of the most direct and effective ways to improve your overall health quickly. Free radicals and toxins can build up in your body over time and may cause fatigue, poor immune function, sleep disturbances, aches, pains, and low energy. The Standard Process 21-Day Purification Program that Dr. McLaughlin endorses can help the body repair and remove toxins. Contact Dr. Patrick J. McLaughlin about program details. 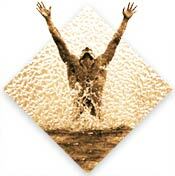 Click hereto view The Standard Process 21-Day Purification Program manual. Click here to see answers to Frequently Asked Questions about the program. Click here to print the Toxicity Questionnaire handout. Click here to print the Participant Data Sheet handout. Click here to print the Troubleshooting handout. Click hereto print the Shopping List handout. Click here to print the Suggested Recipe handout. Click here to view the Standard Process Post-Purification Program manual. Click here to view the Suggestions For Decreasing Toxicity handout. Click here to download the EWG's Shopper's Guide To Pesticides.